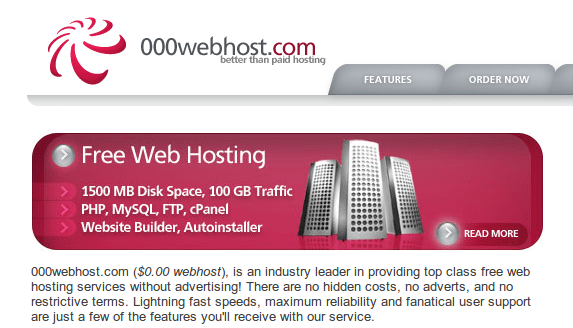 Services offer : Free hosting & paid hosting services. 2) The catch – perl, cgi, frontpage, webstat, smtp and many more are not included. And you expected to get many accounts on a single server. processing might get slower than a paid one. 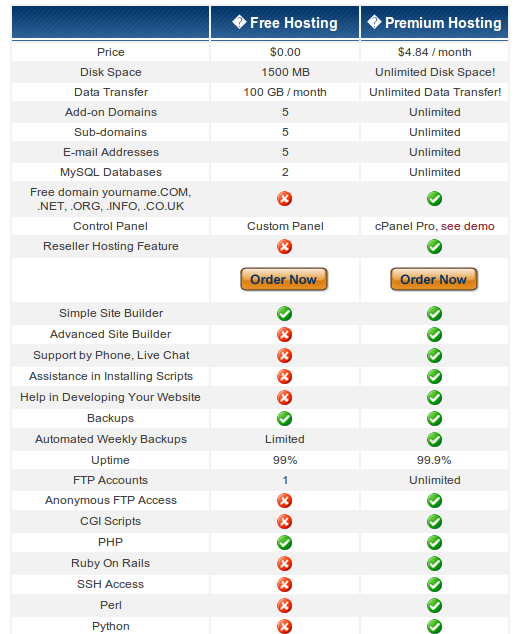 3) See table below for comparison of FREE vs Paid hosting. 4) Since it is free, it’s no harm trying, get yourself an account here , if you are not satisfied with their service, check out our cpanel hosts listing.